Coolpad has launched Coolpad Note 6 in India. It has a 5.5-inch Full HD 2.5D curved glass display powered by an Octa-Core Snapdragon 435 Processor with 4GB of RAM and 32/64GB internal Storage. The device runs on Android 7.1 Nougat No details when it will get Android Oreo Update. On Camera, it has a 13-megapixel rear camera with LED flash and 8-megapixel front-facing camera along with a 5-megapixel secondary front camera along with flash and capability to capture 120-degree wide-angle selfies. The device has a fingerprint sensor on the front, dedicated microSD Slot. Connectivity options include 4G VoLTE, WiFi 802.11 b/g/n, Bluetooth 4.0, GPS / GLONASS.Packed with a 4070mAh battery. 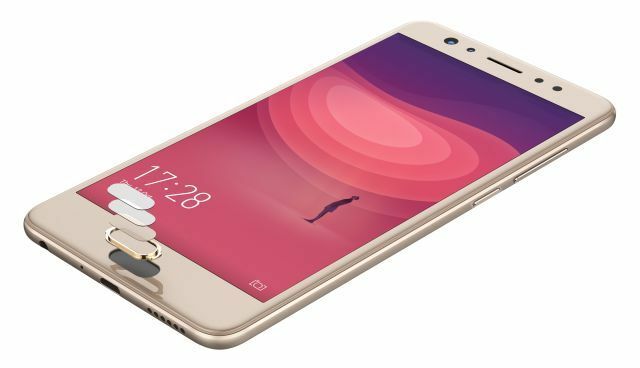 Coolpad Note 6 comes in Gold color, is priced at Rs. 8,999 for 32GB storage version and 64GB storage version costs Rs. 9,999. It is available from offline stores at 300+ multi-brand stores across 8 states: Delhi NCR, Haryana, Telangana, Karnataka, Tamil Nadu, Andhra Pradesh, Uttar Pradesh and Maharashtra starting today. Xiaomi Redmi 5, Honor 9 Lite come with 18:9 Display.